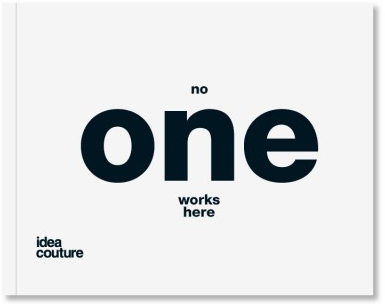 Today, I visited a couple of friends at Idea Couture, a strategic innovation and experience design firm. Every word in their title and description is amazing. Imagine if you described your school in a similar way. Schools should be strategic and innovative. We should carefully design the experiences for our students (and staff and families). Ideas should be fresh and couture - they should be designed to our students' specific requirements. It wouldn't be enough to just describe your school this way. In fact, fancy mission statements and statements of vision mean nothing without follow through. The day to day operations of your organization need to match the words you use to describe it, or they need to change. This summer, I visited a couple of innovation hubs (MaRS and CommuniTech), which, like Idea Couture, have put a lot of time and thought into the design of their space. Schools can be innovative hubs and the physical design of them should reflect this idea. Idea Couture published a book called "No One Works Here." The secret subtitle that appears inside the book is "Everyone Plays Here." This would be another great way to be able to describe school. Instead of looking at learning as work, if our students looked at it as play, we would see an increase in engagement and excitement. I was really impressed by Idea Couture's atmosphere, right from the moment I walked in. I have a school in my head and I am constantly gathering inspiration for it. If I could kick out the staff at Idea Couture and move my grade 4-12 students in, I think we could do some amazing things. Schools can learn lessons about turning work into play by carefully designing learning spaces from innovative companies like Idea Couture. Celebrate individuality and learn about the importance of branding. Everyone is encouraged to make their mark at Idea Couture. 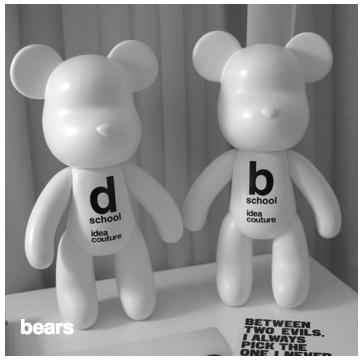 When they are hired, they're given a plastic toy bear that is like a blank canvas. 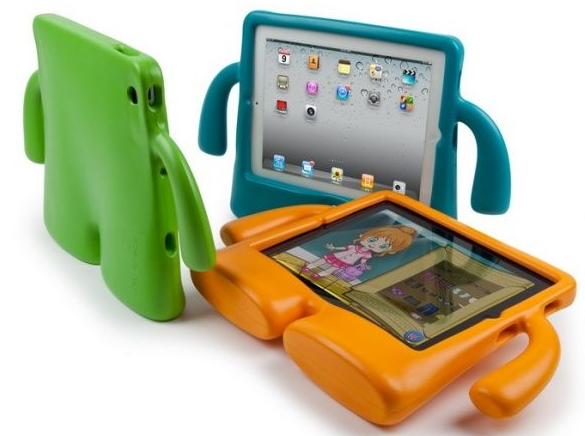 They can decorate, brand and individualize them in any way they choose. At their San Fransciso office, they have several of these bears on display in a gallery. 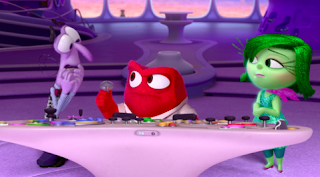 From the beginning of the year, students should know that their classroom is their space. For the past few years, my students spend part of their first day of school decorating a shaped popsicle stick. 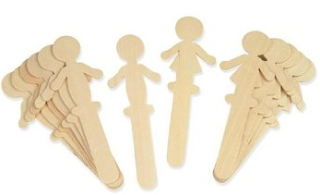 We use these for many purposes throughout the year, including as washroom passes, to determine partners and groups and to draw names in random order for a variety of activities. By expressing themselves and individualizing one of these on their first day, students get a chance to tell their own stories. Celebrate and commemorate past successes. One of the seating and working areas is decorated with stylized posters of some of the past projects Idea Couture has completed. There are simply designed graphics that represent clients and products they have worked on. These can provide inspiration for guests and clients, as they are posted in an area that is as close to a waiting room as IC has. It is also a work space for employees and is surely intended to celebrate their past work and successes. In your classroom, the walls can be covered in student work, instead of store-bought posters. Tell the story of your team and what you have accomplished. Showcase your learning and successes. Write and share your story. IC has bears that help individuals share their stories. They have posters that share the story of the company for visitors. They also publish a quarterly magazine and books to share their ideas, work, philosophies and lessons for others. I'm sure other educators would have similar excitement when my friend told me that I could take a copy of any or all of the books that are beautifully designed and were on display all over the three stories of the office. I left with a backpack that was so full of gorgeous new hardcover books that I was worried about the stitching on the straps. You'll be happy to hear that I made it home safe, as did my backpack. My shoulders were less fortunate. 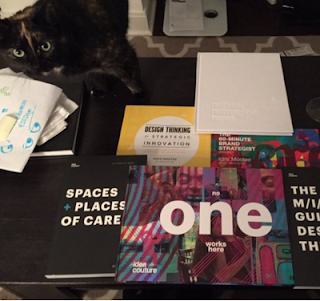 My cat is concerned that these books will cost her my attention. Help your students write and share their learning story and share it widely. Though you likely don't have the capabilities to print gorgeous hardcover books, you can share your photos, videos, work and writing very professionally for free. Make use of media that is available to you and help your students create media to share with their families and the world. It is no longer enough to share a newsletter with parents or a yearbook commemorating the events of the whole year. Make a class blog. Have a class Twitter account. Create videos and share them on a class YouTube account. Update these regularly by sharing your students words, ideas, work and reflections on their learning. Create a space that is inclusive. On the doors to the washrooms at IC, I noticed labels that were a bit unusual. Instead of a recognizable stick person, each of the two washrooms was labelled with "He/Xe" or "She/Xe." Xe is a gender-neutral pronoun and the writing on these washrooms made it clear that any person was welcome to use these facilities, regardless of assigned gender. From my understanding, "Xe" is theoretical pronoun and many people, instead, prefer the gender-neutral pronoun "they." I appreciate the effort with the labels, regardless. There is considerable debate happening in educational institutions about how to make all learners feel included. 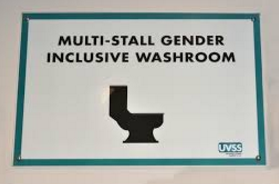 Gender-neutral and private washrooms are a great step. Value physical activity and brain boots. IC has devoted two rooms to physical activity. 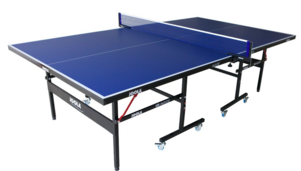 They have a small gym, with a treadmill and weights and a ping-pong room. Employees can self-select when they need a brain boost and use these rooms to play or exercise. They also have a single golf hole set up on one floor. In your classroom, create time and space for students to boost their brain power through physical movement. Full class activities from a site like GoNoodle are great. Providing students with tools and strategies to self select brain boosts is also important. 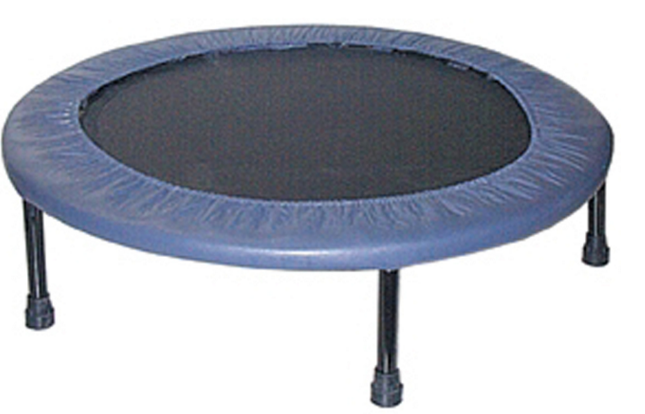 I have had a stationary bike and mini trampolines in my classroom for this purpose. Students practice Brain Gym and use the actions they've learned to renew and refresh themselves as needed. I do not control the times they are "allowed" to do these activities. They know their bodies and take time when they need it, making sure to be respectful of others' work habits. Everything is a writing surface. Most of the walls in IC do not have permanent art or decorations. They are covered in white boards. Windows are used for writing on. There are large, portable whiteboards in common working spaces. 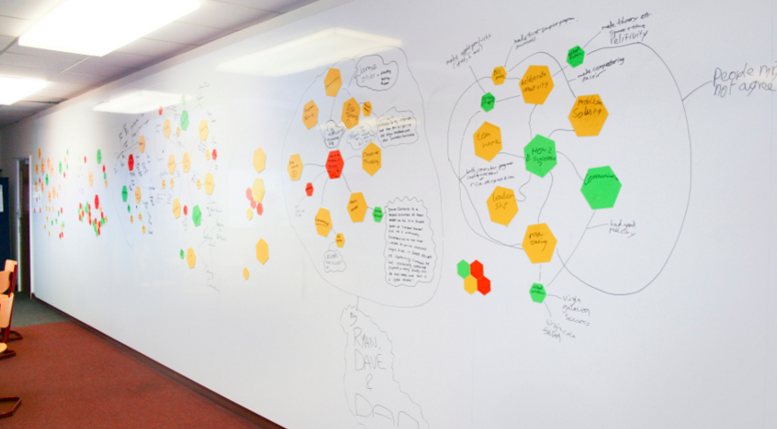 Neon sticky notes and colourful dry erase markings cover every surface. The tables seemed to be covered in whiteboard paint, but I told they weren't. Being a visitor, I didn't test it out to try to prove myself right. More and more schools are investing in whiteboard paint on walls and tables and giving students opportunities to write and draw ideas all over their classrooms. You can buy a large sheet of whiteboard at a hardware store and have the employees cut it into one foot by one foot squares for students to use instead of paper. My biggest problem is always in keeping enough whiteboard markers in working order. They dry out easily and can be very expensive. Doodling in one of the rooms at IC, I realized that schools are not unique in having this problem. I have fallen in love with, instead of total open concept, lots of different sizes of work spaces with transparent walls (otherwise known as windows). 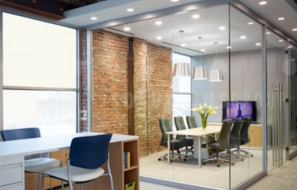 IC has several conference rooms, meeting spaces and offices that have at least one glass wall. The benefits to this are many. I saw writing on several of these windows. A wall of windows provides the perfect mix of privacy and transparency. People can speak to one and other without being overheard or disrupting others, but as you walk by, you can see what they are doing. Natural light is disbursed throughout the entire floor when workspaces with windows to the outside world also have windows to the inside world of the office. 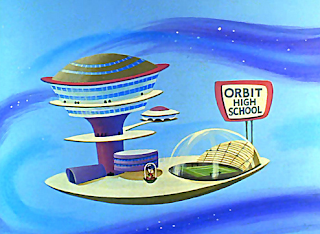 The school in my head looks a lot like this. Students will work in groups in windowed rooms and cubes. As they walk by, other students and staff are encouraged to look in, see what's going on and enter, sharing their input. Use a variety of tools: analog and digital. Employees at IC had laptops at their desks, or on their laps (as the name helpfully suggests). They also have piles of paper with jars of markers and pencils. Whiteboard markers and whiteboards are all over the office, as mentioned earlier. Some schools (more specifically, purchasers for some schools) believe that innovation will happen when students and teachers are given fancy new technology tools. By investing in devices for all students or SmartBoards in all classrooms, they believe that learning will transform. The tools are only that, tools. It's up to the user to effectively harness the power of thinking and learning, and use a tool to enhance that. Make sure that your students have access to and strategies for using analog and digital tools. IC provides desk space to employees, but nearly all the desks were empty. Instead, people were working on couches and in collaborative work spaces surrounded by windows. When they have the choice in my classroom, many students lie on the carpet to do their work. Some sit on benches or stand up. My dream school is full of a variety of flexible learning spaces that feel more like living rooms, cafes and restaurants than a traditional institution. In ten years of teaching, I have never had individual student desks. I scrounge for tables and make spaces for students to work individually or in groups. Flatten the hierarchy through sharing the space. Though senior team members, including the CEO have offices at IC, they are not wasted space when they are not being used. The CEO was out of his office when I visited and groups, including ours, use the space. Like many of the collaborative work spaces, his has a huge window as the internal wall. Instead of a desk and filing cabinets, as you might expect in a CEO's office, there is a huge conference table surrounded by comfortable chairs, welcoming working groups. Next to that office is another large office, this one with a similar set up in addition to a short table with floor pillows. People can work by sitting at a regular height table or by sitting on the floor at the much shorter one. Lots of educators are being encouraged to get rid of teacher desks to make room in their classroom for students. Acknowledging that teachers spend a lot of time working at their desks after school and in breaks, I don't think this is necessary. Instead, I think it is an individual choice, but the placement of a teacher desk (or, even better, table) should be carefully considered. The classroom that is familiar to many is one with the teacher's desk at the front of the room, backed by a black (or white) board. The students sit in rows of desks, facing that. Though much of student seating has changed, teacher desks often remain in the "traditional" position. I would encourage teachers to consider placing their desk in a corner of the classroom and making a point to work with their students at it and around the room as much as possible. I will not sit at the front of the classroom all day. I will not sit at the front of my classroom all day. I will not sit at the front of my classroom all day. Write that on the blackboard 20 times. Visually and in practice, eliminating the hierarchy of individual work spaces, creates a more welcoming atmosphere. Inject fun through themes and names. Each of the collaborative work and meeting spaces at IC has the name and image of a toy or game on it. 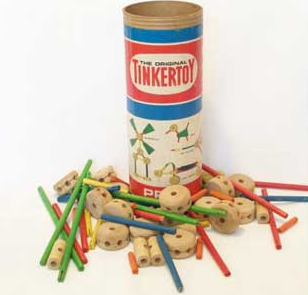 Instead of meeting someone in conference room B, you might meet them in "Tinker Toys." At MaRS in Toronto, the conference rooms are labelled with inspiring quotes. In a classroom, themed immersion adds an element of fun to the culture. Use language and names that are relevant to your students. Give them the opportunity to pick them. We had "Work Apartments," instead of "standing files" for students to store their notebooks. They used class iPads that they named "Isaac," "Ivy" and "Ilys." Spoiler alert: This is very similar to the school in my head. Design is important in everything we do. Consider the purpose for a space instead of just doing what's "always been done." Create a place where people feel engaged and excited to work and learn. Reflecting on reflecting is a funny thing. It starts to feel like an Esher painting as you think about the importance of the importance of thinking about how you think. Even that sentence has my brain in knots. I have learned that, for me, self-reflection is the key to my own learning. For years, I told my students it was key to theirs' and helped them do it, with some effectiveness. It isn't until recently that I realized I wasn't doing very accurate self-reflection. The problem was, I wasn't practicing what I was teaching. I told my students to celebrate their efforts, not just their successes. I told them to internalize positive feelings and feedback. I told them to objectively look at themselves and their work and appreciate what they were doing. I told them to look for ways in which they could continue to improve and grow. The only one of those that I was effectively, consistently doing myself was the last. I am really good at finding things I need to get better at. All of the positive aspects of reflection that I taught my students were falling on my own deaf ears and mind. 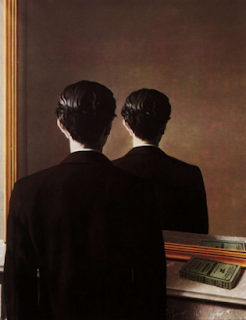 Recently I realized that when I told myself I was reflecting, what I was doing looked more like the Magritte painting above. 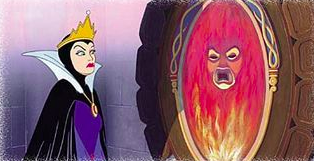 I tried to examine my actions and thoughts in a mirror, instead I blocked myself off. I looked at the back of my head. I was really good at looking back and terrific on focusing on what didn't go as well as I'd hoped. When I would ask my "Mirror, Mirror on the wall" how I was doing, a very angry version of myself was more than eager to respond with criticisms and a tongue-lashing. I discovered that, instead of treating myself as I would expect my students to treat themselves, with kindness and honesty, I was behaving as if I had a panel of judges commenting on every choice and action. Although the audience loves a harsh judge, like Simon Cowell, on a panel, if all we had were Simons, people would change the channel. My internal panel was filled with versions of Simon Cowell and they dictated to me how I "should" feel about myself and my work. In Inside Out, things go very wrong for the protagonist, Riley, when Joy and Sadness leave the control panel to be operated by Fear, Anger and Disgust. In thinking about myself, I realized that I let those three take the reins for my self-reflection for far too long. Realizing how inaccurate my perception of myself was ended up being the easy part. I acknowledged that it wasn't helpful or productive, but I had a huge fear (look who's driving again) that I'd over-inflate myself image. 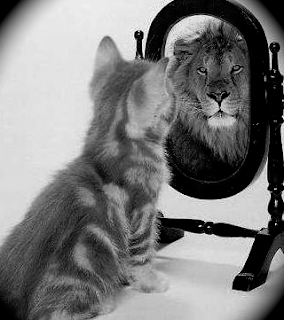 I worried that I'd become the house cat who saw herself as a lion. Finally, I have begun to figure out how to be a better reflector. 1. Quit judging yourself for thinking about yourself. Everyone does it. No one thinks of us nearly as much as we think of ourselves. If you're worried others are judging you, they probably aren't. They're too busy working on themselves. 2. Balance being genuine and honest with being gentle and humble. I consider genuine as being truthful with others and honest as being truthful with myself. I have to be truthful with myself before I can truly be myself around others. Though I try to be genuine and honest, I am aware of the need to be gentle with myself and humble towards others. This has been extremely difficult for me. To help in gentleness, I picture myself as the four-year-old version of me and it's easier to treat her better. Humility is scary. I want to share my learning and successes, but worry that others will perceive what I share as bragging. 3. Projecting isn't the same as reflecting. For my whole life, I have projected confidence and self-esteem. People around me think that I have my stuff together and might be surprised to learn that what I project into the world does not match how I feel about myself. What I see reflected is described above. The best way I can describe it is dysmorphia, instead of seeing my body as something different than it is, I see my entire self in the most critical way possible. I am working on reflecting more accurately, so that what I project is more genuine. 4. Taking the time to reflect means accepting vulnerability. By honestly looking at yourself, your choices and your actions, you are open to all kinds of feelings. Seeing yourself as you truly are and accepting that you are in a constant state of becoming isn't easy. Even reflecting silently in a journal can rip you open. If you want to really feel raw, try making that journal public and blogging about it. 5. Despite everything, reflecting is one of the most valuable things I do. Thinking about my thinking, thinking about my progress and setting goals keep me moving forward. 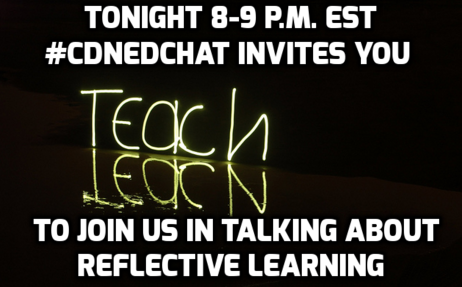 Tonight, I'm co-moderating #cdnedchat with the amazing Dana Ariss. 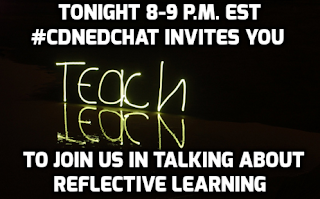 We'll be talking about reflection in education.